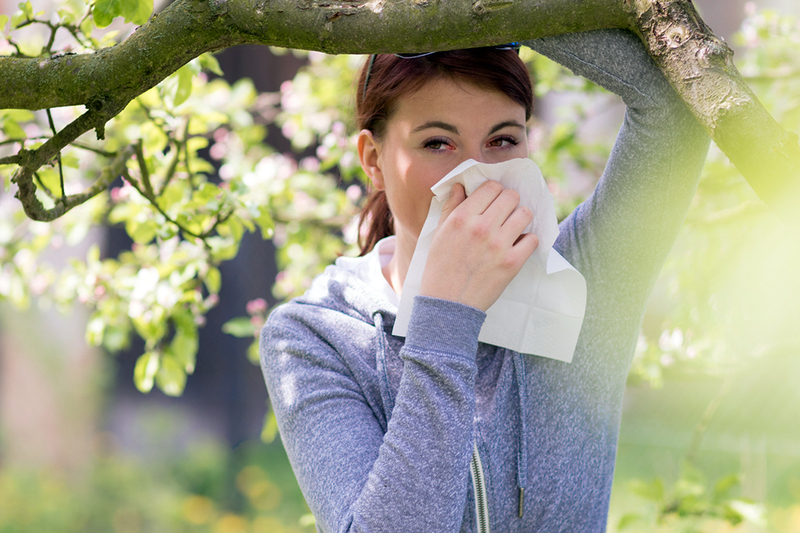 While spring's conditions have those with allergies reaching for the tissues, disarming seasonal symptoms with aromatherapy steam can not only calm your nasal glands, but your entire mind and body. If you experience sinus pressure, nasal congestion, brain fog, swollen glands, itching or hives, or lung congestion, then the aromatherapy steam room could provide a drastic improvement to your daily life. "When sweat glands are activated, your blood vessels dilate, so everything is getting more oxygen and nutrients and functioning how it's supposed to. For those who feel congested, the steam room allows you to get into a deeper breath." The steam also helps to moisturize the skin and form a more effective seal against airborne pathogens, helping you stay healthy inside and out. Combining steam therapy with essential oil blends amplifies the therapeutic effects for a deeper physical and mental experience. Blends that contain peppermint, wintergreen, frankincense, clove, and other similar oils help facilitate healthy breathing and relaxation. Your first time in the Aromatherapy Steam Room might seem intense at first, so it's important to remember that you can begin with small sessions of only five or ten minutes. Beyond natural relief that targets our allergy symptoms, aroma steam therapy provides necessary time for our bodies to heal from the busyness of life. Dr. Sam tells us, "So often we are living in 'fight or flight' mode, but the heat gives your body the 'rest and digest' space it needs. When we take time for ourselves to let the healing occur, that's when the magic happens." Experience the relief of allergy symptoms and encourage improved overall health this season by booking your Aromatherapy Steam Room session!